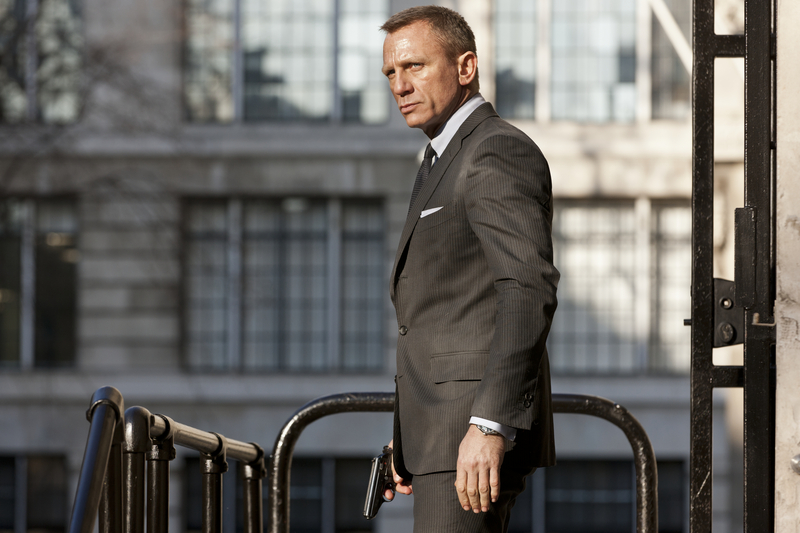 Daniel Craig stars as James Bond in Metro-Goldwyn-Mayer Pictures/Columbia Pictures/EON Productionsâ action adventure SKYFALL. ©Danjaq LLC/United Artists Co/Columbia Pictures. CR: Francois Duhamel. HOLLYWOOD—Daniel Craig arrives for a press conference looking almost intimidatingly dapper in a dark suit, gray shirt and matching tie. He’s all smiles and seems absolutely jazzed. And why shouldn’t he be? 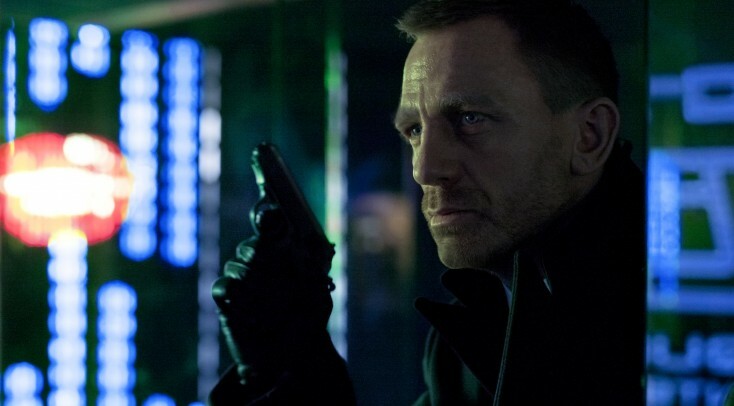 His latest outing as secret agent James Bond in the Sam Mendes-directed “Skyfall” has opened big in Europe, taking in $287 million in only 10 days and becoming the highest-grossing film of 2012 in the UK (surpassing “The Dark Knight Rises”). The movie is expected to take the United States by storm as well, with a predicted $70 million opening weekend. The blond Brit succeeded Pierce Brosnan to star as 007 in 2006’s “Casino Royale” reboot, reprising the role two years later in “Quantum of Solace.” He returns for a third go as the resourceful British spy in “Skyfall,” which delves a bit into Bond’s psyche in addition to delivering the incredible action sequences around the globe that are a staple of the series. The 44-year-old actor is obviously comfortable in the role, and had fun bringing back some of the familiar Bond-isms from previous films. His co-stars include Dame Judi Dench (returning as Bond’s boss M), Javier Bardem (as one of the strangest and deadliest Bond villains ever), Ralph Fiennes (as a government official), Ben Whishaw (as new MI6 weapons and technology master Q) and Bond girls Berenice Marlohe and Naomie Harris. With the his cool blue eyes and magnificent physique, Craig is charming and surprisingly funny in person, bantering playfully during a press event alongside his Academy Award-winning director Sam Mendes (“American Beauty”). They were joined by producers Barbara Broccoli and Michael G. Wilson, the heirs and keepers of the flame of the long-running 007 film franchise started by Albert “Cubby” Broccoli in 1962. Q: When you did “Casino Royale,” you said you would have to earn the right to say “shaken, not stirred” and “Bond, James Bond.” What gave you the indication that you had earned it, and how much pleasure was there in being able to say those lines? Q: Why do you think after five decades Bond remains such a potent film franchise? Craig: It’s a very easy answer. It’s retaining what it always had. It’s making movies for the audience. Putting it all on the screen, and this family (the Broccolis) is the reason for it. 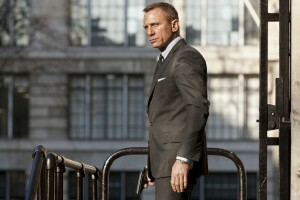 First official shot released from SKYFALL of James Bond (DANIEL CRAIG) from a scene set in Shanghai. ©Danjaq LLC/United Artists Co/Columbia Pictures. CR: Francois Duhamel. Craig: There were many. The thing that stays with me most is not really any particular thing but walking onto the set and seeing the cast we had and Sam at the helm and a crew who were all excited and enthusiastic about making this film, and that enthusiasm was infectious. That for me is my abiding memory. Q: Was there one particular moment that was the most dramatic or the most frustrating? Craig: (With mock exasperation) Every day. Every day. All of those things. It was romantic and frustrating. It’s seven months of filming, so it’s like making four movies at the same time. There’s the second unit going on. There’s the main unit. We’re shooting action sequences. We’re shooting dialogue sequences, underwater sequences. There’s nothing else like it. It’s a real privilege and an honor just to be around that. Q: Can you talk about working with cinematographer Roger Deakins? Craig: There’s an incredible consistency in his work. I noticed that while watching it. Especially on a movie this size, he has a surety. It’s a Sam Mendes movie, but you feel like it’s a Roger Deakins movie as well. It’s a real stamp. It’s not intrusive and it’s just very magical. Q: What did you learn from making action movies? Craig: Action movies live and die by the story that you’re trying to tell. It’s very difficult to do an action movie that stays engaging. More often, there’s a split between the two. You get a bit of an explosion and a bit of dialogue, and then it goes from there. But Sam put a huge amount of hard work into retaining the story that’s told. And when you do that, doing the action makes all the sense in the world. Suddenly, I’m on top of a train driving through the Turkish countryside and it makes sense. But I know what’s happening. I know what’s happening next. I know where the story’s going, and I’m clear. So it gives an actor a huge amount of freedom, and I get a kick out of it. I don’t do all my own stunts. I would be lying if I said that. But I like the fact that occasionally you’ll see my face on the screen and it’s me. I think audiences hopefully appreciate that. (Laughing) At least I really hope they do. Q: This film is a reboot that includes traditional elements from the past 50 years of Bond movies. What were the discussions like in pre-production about merging those? Q: Do you dread the potential call you may get one day saying someone else will play Bond in the next movie? Craig: No, look, I get a huge kick out of doing this, and I can see doing another (Bond) film. They take such a chunk out of your life. I’m contracted to two (more), by the way, which is fairly common. Craig: I can see the next one beyond that. There’s so much work involved in bringing it together. I’d love to do another movie, is what I’m trying to say. Q: You spend a lot of time in this movie with Judi Dench, who again plays your boss M, and she has a lot to do in this one. Craig: (Facetiously) It’s about time she did some work, ’cause she normally just sits in an office on the phone shouting at people. She’s an extraordinary woman and actress, just wonderful to be with. I know I keep saying this, but when Judi walks into the room, she lights the room up. It’s like incredible. She’s got such an energy about life, and she loves doing what she does. I’ve been a fan of her all my life. So to get the chance to work with her, and playing with her because that’s what she like doing. She likes playing on set. She takes her job very, very seriously, but laughs all the time. Q: The direction the film goes with her character, can you talk about that? Craig: It made sense, it made a lot of sense, and it gave us a chance to use her in a really proper way. And it was very emotional. 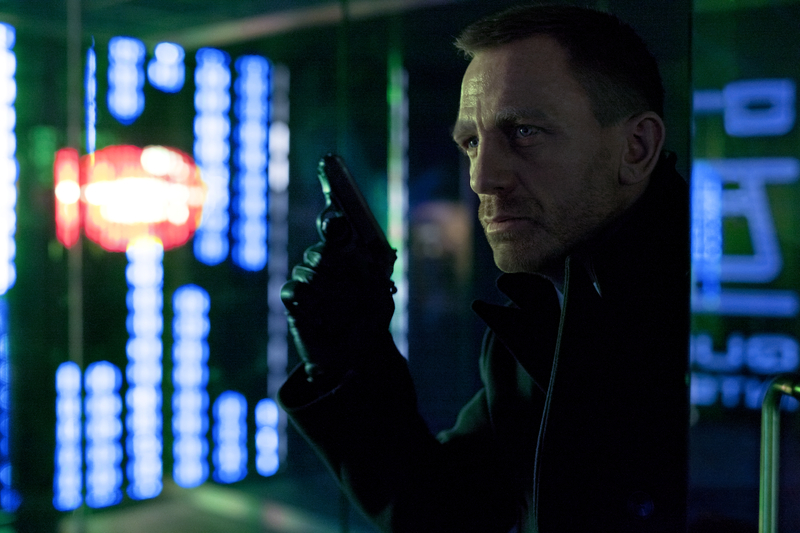 Q: How much is “Skyfall” a setup for the next film or two films? Craig: It’s a happy accident that it’s a set up. I think by introducing some new and old characters, I think we have. Q: How big a decision was it to have Bond cry in this movie? Craig: (Deadpans) He doesn’t cry, he’s sweating. It’s interesting you said he cries. Other people I’ve heard say he doesn’t cry. I’m kind of (of the opinion) that it’s open. But it’s an emotional scene and it’s worth it. It’s worth playing with that emotion. It’s not extraneous. It makes sense in the story, as far as I’m concerned. Q: Can you talk about working with the Queen at the Olympics? And do you see James Bond as a play? Craig: (Deadpans) A musical. I see a musical. Q: And working with her majesty? Craig: I got to play a very small part in the opening ceremony of the (Summer) Olympics in London. That’s for me a real honor. The fact that we did that was just very surreal and very extraordinary. But there’s not a lot to say. I would be breaking state secrets.